A couple of year’s back there were two dueling Snow White films released in the same year. While Mirror, Mirror was brighter in color and in tone, Snow White and The Huntsman was a bit more dark and gritty. The latter would eventually get a spinoff/prequel called The Huntsman: Winter’s War. 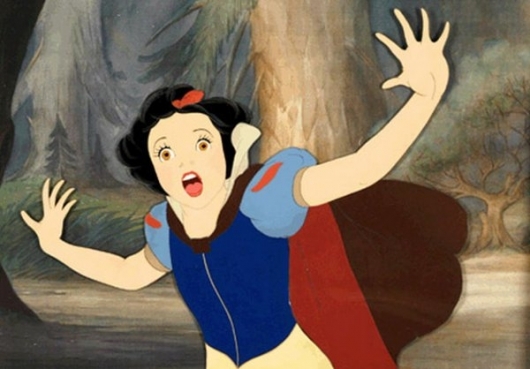 But now it is time to get ready for yet another live-action Snow White film. But it won’t exactly be about Snow White or The Huntsman. 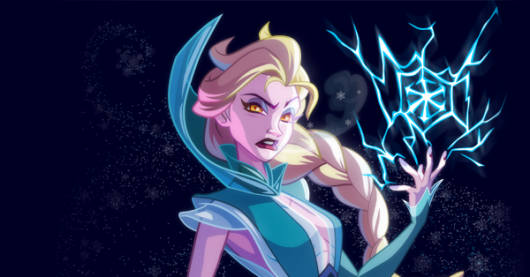 According to new reports, Disney is now developing a film centered around her sister, Rose Red. More on the story below. In director Rupert Sanders‘ feature-film debut, Snow White and the Huntsman, the ruthless and beautiful (ruthlessly beautiful?) Queen Ravenna (Charlize Theron) has spilled blood and conquered countless kingdoms. For the Queen, beauty is power – and by that measure she is a Goddess, omnipotent and sovereign. There is another, however, destined to undo Ravenna’s tyrannical rule. The Magic Mirror (Chris Obi) foresees the Queen will be overthrown by her stepdaughter, Snow White (Twilight‘s Kristen Stewart), who will surpass her as “Fairest of Them All”. Luckily, destiny isn’t always set in stone. 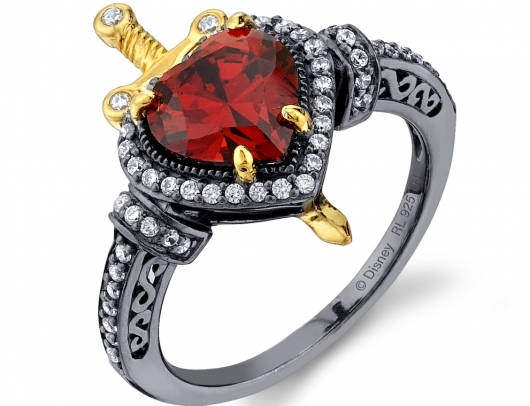 If Queen Ravenna can consume Snow White’s still-beating heart, she will achieve immortality and eternal beauty. 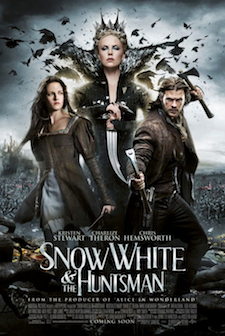 She summons a huntsman (Chris Hemsworth) to journey through the Dark Forest and capture her dear, dear Snow White. Snow White and The Huntsman, an epic retelling of the classic Snow White tale starring Kristen Stewart, Charlize Theron, and Chris Hemsworth, opens in theaters on June 1. 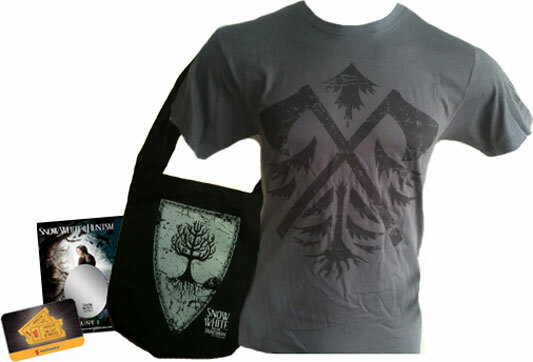 In conjunction with the release, Geeks Of Doom has two (2) themed prize packs to give away! The Snow White and the Huntsman panel at WonderCon 2012 on Saturday began with E! movie personality Ben Lyons introducing director Rupert Sanders and actresses Kristen Stewart and Charlize Theron. 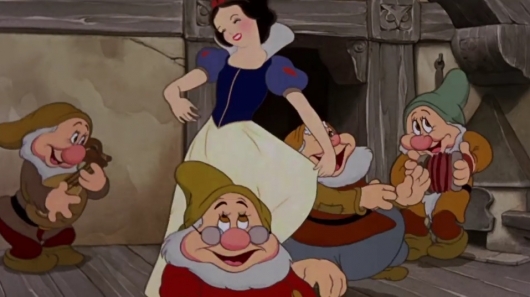 Sanders began with an explanation as to how he managed to stay true to the original material of Snow White, saying he wanted to maintain the authenticity of the original while bringing it to a new and contemporary audience. Stewart, who plays Snow White, when asked what portion of the film she was most proud of said that she was impressed with how delicately Sanders handled the entire process as a director. Can you recognize them all? 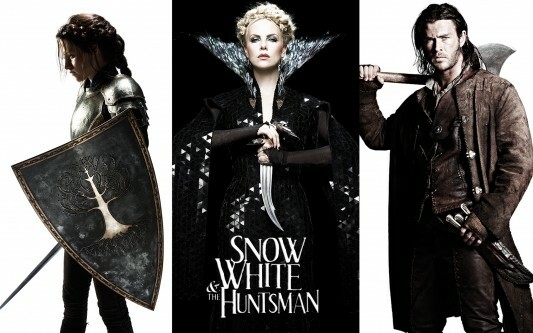 The photo here above shows the dwarves from the upcoming Universal film Snow White and The Huntsman. The film’s Facebook page revealed this new look at not only The Huntsman (Thor‘s Chris Hemsworth), but the eight — that’s right eight — dwarves that will be helping him and his leading lady (Kristen Stewart) take down the evil Queen (Charlize Theron). Check out the new photo here above. Also, below, is a new close-up shot of Kristen Stewart as Snow White. Of the two upcoming Snow White feature films, the one question mark remains Relativity and Tarsem Singh’s take on the tale, Mirror Mirror. Only a few months away, the film already has spawned one of the worst trailers of recent memory—or at least one of the most laughable—and now, it’s even found itself a slight delay.